Ottawa University and USports get a steal! Cole Newkirk held off from making an early college decision when deciding to wait and see what transpires on the NCAA side of things. Meanwhile, a strong list of suitors at the USports level were banging on his door in hopes of having him in their program. The Ottawa Gee-Gees made that happen through their extensive recruiting efforts. 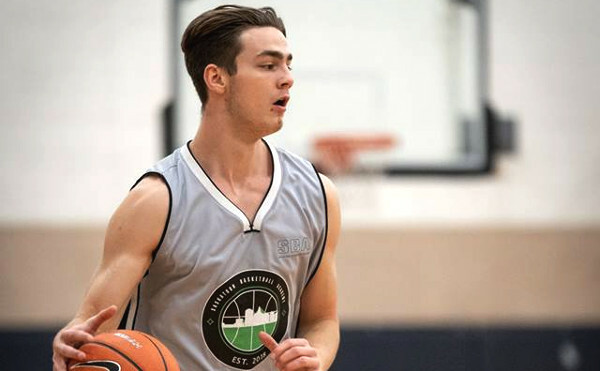 Wherever there was Cole Newkirk and Saskatoon Basketball Academy, there was the Head Coach or an Assistant Coach from the Gee-Gees. Coach Derouin knew what he wanted and how he can develop this hybrid forward/center. Newkirk was a NPA Second Team All-Star averaged 20 ppg and 9 rpg in his senior season. He scored at the rim and stretched it to the three point line. This is Ottawa’s second get from Saskatoon Basketball Academy, after announcing over a week ago the commitment of Ariel Mutware a teammate of Newkirk. These pieces bring two entirely different skill sets but a similar mentality towards competition. Year in, year out Ottawa remains in consideration as an upper echelon program in Canada and these pieces will help continue that culture. At 6’8 Newkirk brings a dynamic skill set that will enable Coach James Derouin to have him play multiple positions on offense and be just as versatile defensively. The Saskatchewan native comes with a motor, something that can’t be taught.